MGallery by Sofitel adds three new iconic properties to its growing portfolio of 90 hotels. The addition of the Victory House Leicester Square in London and The Retreat Palm Dubai as well as Tarcin Forest Resort & Spa is part of the rapid expansion of the MGallery brand that is slated to happen over the next five years. Check out the Victory House, London Leicester Square, MGallery by Sofitel! Victory House, London Leicester Square is the latest MGallery boutique property opened in the UK. Designed in partnership with renowned architects Michaelis Boyd, the hotel’s interior has been carefully curated to emulate the rich cinematic history of its landmark location. In addition to Leicester Square’s iconic cinematic history, the rich heritage of the building has influenced the hotel’s interiors. Victory House retains its original 19th century terracotta façade and stands as an unwavering icon within the ever-evolving Leicester Square. Originally built in early French Renaissance style in 1898, by leading theatre designer Walter Emden, Victory House was previously known as Hôtel de l’Europe, with a Parisian brasserie renowned in its heyday as a popular dining spot in the West End. The building’s distinct character is evident throughout the design of the hotel, where understated nostalgia meets sleek modernity. Victory House, London Leicester Square boasts 86 stylish and contemporary bedrooms, including nine suites, which are fully soundproofed to create a quiet haven in the buzz of London’s film district. With an unparalleled view over Leicester Square, each room also offers a luxurious and memorable front row view when one of the red carpet’s many film premieres is taking place below. Victory House has officially launched the restaurant, Petit Bistro, operated by Ed Baines and Jamie Poulton, the founders of legendary London restaurants. The property’s central location is also perfect for exploring London’s sights, theatres and shopping hotspots. Victory House is within walking distance of Soho, Covent Garden, Piccadilly Circus and St. James’s, allowing guests to experience the capital’s most impressive landmarks including Buckingham Palace and Westminster. 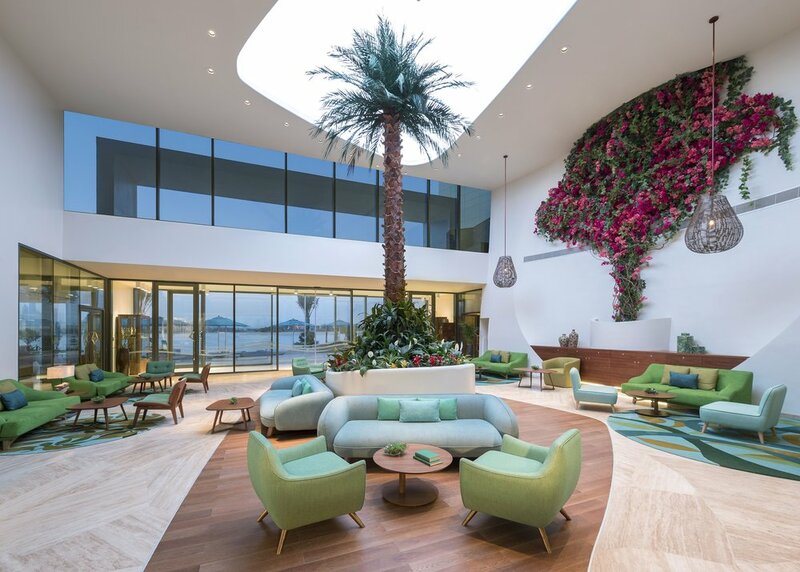 The Retreat Palm Dubai is the first MGallery property as well as the first 360-degree holistic wellbeing resort in the Middle East, allowing guests to embark on a transformative journey. Tucked away on the exclusive coastline of Palm Jumeirah’s East Crescent, the beachfront destination houses 255 picturesque rooms and suites, all designed with natural elements, earth tones and a harmonising Feng Shui philosophy throughout. Its architecture, design and services are inspired by “Serenity”, one of the hallmarks indicative of the MGallery brand. At the heart of the resort is the Rayya Wellness Centre offering an uplifting relaxation and rejuvenation experience. The property also features four exceptional dining concepts promoting healthy gastronomy, serving an array of nutritious food and beverage varieties made from local, organically-sourced products. Tarcin Forest Resort & Spa, Sarajevo is the first MGallery hotel to be opened in the Balkans. Located within a 20/30 minute drive of Sarajevo’s center, it provides guests with plenty of opportunities to immerse themselves in the culture, history and natural beauty of this fascinating, dynamic and multifaceted city. MGallery Tarčin Forest Resort and Spa is a contemporary, elegant curved building that was designed to blend in with the natural landscape. It combines impressive ceiling heights, sober pure lines with a peaceful chalet atmosphere. Guest rooms are cosy and spacious, connected to nature with stunning forest and mountain views, through large bay windows and balconies. The interiors are decorated with natural wood, wool and subtle touches of traditional Kilim patterns. The retreat features a restaurant, hotel cafe, business center, executive VIP lounge, luxury spa and a wellness oasis with a modern fitness center, organic dining, and unique array of conference and banquet facilities. Nestled in the midst of the gorgeous greenery of Tarčin forests, surrounded by rejuvenating alpine nature, pristine air, and water, MGallery Tarčin Forest Resort and Spa is a perfect place to escape the stresses of modern life and ascend to a state of emotional serenity and physical well-being.